What are the benefits of homeopathic medicine? Home / What are the benefits of homeopathic medicine? Homeopathic medicine is based on the philosophy that the ingredient that caused an illness is the same ingredient that can cure it. This is referred to as “likes cures likes.” Homeopathy uses extremely small doses of those natural ingredients that have been diluted to treat diseases. At LifeWorks Integrative Health, we treat patients using the remedies of this centuries-old way of medicine with great success. If you have been considering consulting with a homeopathic doctor, contact our offices today. The Food and Drug Administration (FDA) has been regulating homeopathic medicine for more than three decades, so patients can be assured that the medicines and treatments they receive are safe. Because many of the substances used in homeopathic medicines can be obtained by anyone, it is critical to keep in mind that no one should ever attempt to treat themselves using these substances. Many of these substances can result in poisoning, toxicity, or other bad reactions if they are consumed in high doses. Some can be dangerous even in low doses if they are administered improperly. This is why they should only be used under the direction of a trained and qualified homeopathic doctor. Patients should also keep in mind during treatment – especially in the initial stages of treatment – that they may experience homeopathic aggravation. This is when symptoms the patient has been suffering worsen. This condition is only temporary and will usually disappear once the body begins to heal. Your homeopathic doctor in Overland Park KS should be notified whenever you feel this is occurring or if you have any other negative effects during treatment. Many people do not realize that homeopathy and naturopathy are two different types of alternative medicines. 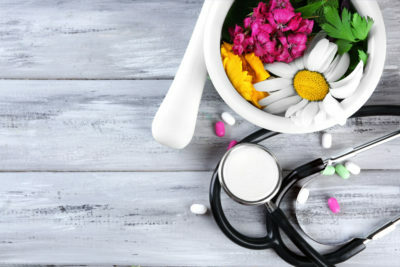 Although both types are based on using nature as the main factor for healing the body, naturopathic medicine includes many different types of treatment options, including homeopathic medicines. A naturopathic treatment plan may also include acupuncture, massage, nutrition, and herbal medicines. A naturopathic doctor may also include dietary recommendations, supplements, and even prescription medications in the patient’s treatment plan. If you would like to find out how homeopathic treatments can help alleviate the condition you are struggling with, call LifeWorks Integrative Health today. Join the more than six million people who use homeopathy each year to achieve better health.